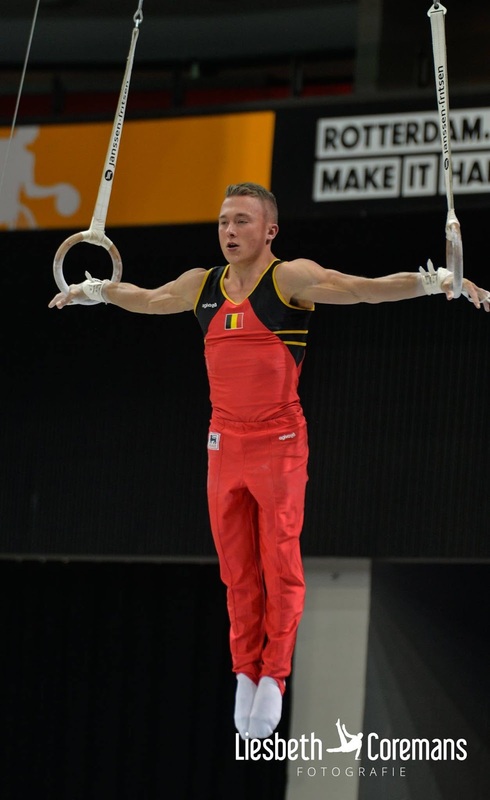 Belgian Gymnastics: Dutch Open 2016: 8 medals in event finals for the Belgians! Dutch Open 2016: 8 medals in event finals for the Belgians! After an all-around competition on Saturday in Rotterdam, our gymnasts were in action on Sunday for the Event Finals. A successful day for them as they grabbed 8 medals! The uneven bars final was litterally a battle of the Belgians with our three best gymnasts all competing there. And Laura Waem successfully won the gold medal and redeemed herself after a rough day on Saturday. With a great score of 14.550, she placed 1st ahead of Nina Derwael (14.200) and Senna Deriks (14.150). Rune Hermans tied for 4th place with 13.850. Cindy Vandenhole seemed to have had a mistake there and placed 7th (13.300). On balance beam, all eyes were on the Netherlands' Sanne Wevers, who is the World silver medalist on that event. She didn't disappoint, earning a massive 15.650! Once again, a Belgian gymnast ended up on the podium. This time, it was Rune Hermans, who scored 13.900, enough to secure the bronze medal. Senna Deriks was right behind her, with 13.850. Axelle (13.550), Cindy (13.400) and Laura (13.300) all made the top 8. Julie Meyers ended up in 9th place (13.100). On floor, there was no real surprise, as Axelle Klinckaert secured the gold medal with her new floor routine. She scored 13.900. Belgium once again had a clean sweep, with Gaelle Mys (13.633) winning the silver and Rune Hermans, who earned her second bronze medal of the day (13.567). Nina Derwael tied for 4th place and got 13.100. On the men's side, there was only one gymnast competing on Sunday, new Olympian Dennis Goossens. He confidently won the gold medal in the rings final, posting 15.350. Team Belgium concludes this year's Dutch Open with a total of 3 medals in the all-around and 8 in event finals, including 3 golds!